Are you ready to take that first step to improving your relationship with your dog? Having a dog with manners is a joy and it is welcomed in the community. Dogs do not come with the knowledge of what is acceptable in the human world; it is up to us to educate ourselves and the dog. With using positive reinforcements and basic commands you can obtain the tools necessary to have that well behaved dog you desire. We teach you, so you can teach your dog. All dogs must be up-to-date on shots and proof of vaccinations must be presented upon enrollment. Please bring training collars and appropriate leash (leather or nylon – No retractable leashes please) as well as plenty of small treats. Class size is limited to provide individual attention. Confirmation of your reservation is only guaranteed by receipt of your payment. The words Obedience and Training are not “Negative” terms they are interchangeable and a positive experience for your pet and the relationship you build with positive exposures throughout their long healthy life. Along with research on your trainer we always welcome you to come visit our trainers before their classes to meet and ask questions or stay and watch their class in action. It’s you the owner that will need to do your research and know your dog and how they learn in groups, individual or family environments with distractions to make the right decision for your pet. Owners who do not take the road to communicating in a positive way make up for pets that run away and get lost or even worse run into harms way. We stand by diversity in our training staff! Not every form of communication with the teacher and the learner will always blend perfectly in this day and age. We offer different approaches for our community so that you can get the best for you pet when it comes to a loving member of your family! Cheryle Homuth is a Certified Professional Dog Trainer by the Association of Pet Dog Trainers and is also a Certified Training Partner for the Karen Pryor Academy. She has been professionally training dogs for over 10 years and has taught many classes and seminars on various topics related to animal learning, training and behavior. By applying the concepts of learning theory combined with fun and play, Cheryle teaches dog owners how to train their dogs to want to do desired behaviors. 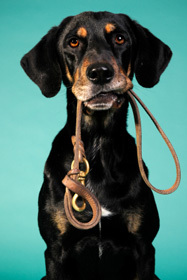 Instead of giving commands and corrections, the focus is on teaching the correct behavior so the dog knows what to do instead of what not to do. This gives the dog the foundation for a lifetime of successful learning, increases the dog-owner bond, and makes learning fun for both. Cheryle’s students are always amazed at how fast their dogs learn and how many things they can do. In addition to obedience classes, other classes that she teaches are: K9 Nose Work, Canine freestyle dance, tricks, rally obedience, teach your dog to target, shaping classes, and how to use the clicker in your training. She also does in-home consultations and training for both dogs and cats. Cheryle is in the process of finishing her graduate degree to become a board certified Animal Behaviorist. This is a five year graduate degree which applies the concepts of behavior analysis. If you have questions for Cheryle you can email her directly at Email Cheryle Homuth or Call 815-675-3877.
and learn how to communicate better. rooms, exterior areas, vehicles and containers. in advance of class time in order to attend. Lisa Lillie began training dogs in 1975, having been actively involved in 4-H with kids, and currently is a AKC Canine Good Citizenship (CGC) evaluator and is a part of the American Professional Dog Trainers Association (APDT). Since moving back to Woodstock in 1989, she has dedicated her time to learning and working with dogs. She joined the Northwest Obedience Club to help other dogs get a second chance. Lisa volunteers with fostering dogs and puppies for Animal House Shelter since 2012 and is committed to providing the most effective, convenient solutions to her clients’ dog training needs. Lisa avidly pursues professional development with her involvement in the Northwest Obedience Club. When not helping clients enjoy easier lives with their fur friends Lisa shows English Springer Spaniels in Rally O and Obedience trials and is a part of the Wisconsin English Springer Spaniels Association (WESSA). 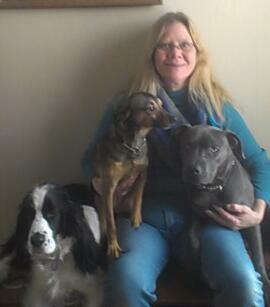 Lisa is very passionate about teaching children and adults and loves playing with her dogs Rosie, Murphy and Ruffie. Lisa is very nurturing and after raising her own family she has taken in many pregnant foster dogs helping countless puppies become more adoptable dogs. Lisa teaches CGC basic training, CGCAdvanced, and hosts CGC title evaluations bi-monthly. 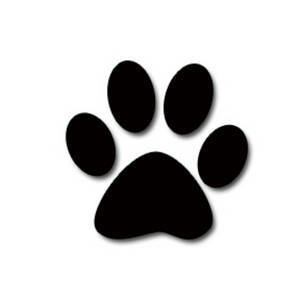 If you are in a dog training class, CGC, CGCA or private dog training lesson at Fur the Love of Dogs with Lisa and would like to contact her specifically about that session or future classes, you can email her directly at Email Lisa Lillie Call 815-675-3877 or download the sign up form. the many benefits and joys of training your dog. Training will enhance the bond between you and your dog.